I know Runzas are a staple to my Nebraska and Kansas friends but not something we grew up with in Iowa. A few years ago I was watching the television show, Diners, Drive-Ins and Dives where they visit Lauer-Krauts in Brighton, Colorado. A friend and I made the trek to Brighton to try one of their krautburgers and they were delicious, but frankly, too far a drive when you have a craving. This recipe was close to what we experienced and I decided to give it a try. 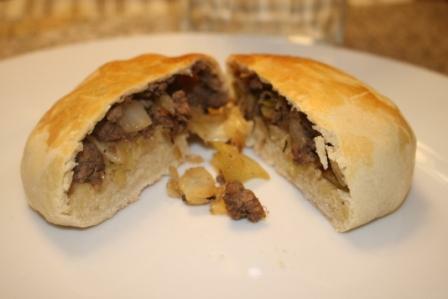 It was very good and I would love to try making them with either a mixture of fresh cabbage and sauerkraut or simply with sauerkraut. Growing up in Iowa, Mom’s homemade sauerkraut was amazing and I now love all things kraut! Add 3 of your eggs and whisk with your yeast mixture. Add 2 cups of your flour to the liquid and mix well with a wooden spoon. Add the butter, the sugar, the remaining flour and salt and mix well. Knead the dough on a floured surface for about 5 minutes. Place the dough ball in a buttered bowl and let sit for one hour at room temperature. Transfer to the refrigerator and let sit for at least an hour. Remove the dough and divide into 10 equal portions. Roll into separate balls and let sit covered while you make the filling. Speaking of the filling, get your ground beef sizzlin’ on a skillet. Season as desired with salt and pepper. Cook until lightly browned, then remove the beef from the skillet with a spoon and place it in a bowl, leaving most of the grease behind. Add your butter to the skillet and begin sizzlin’ your onion. Cook until translucent, about 10 minutes or so. Add your garlic, thyme and rosemary and cook for an additional 2-3 minutes. Add this whole mixture to the bowl with the beef. Next, using the moisture still in your skillet, get the pan nice and hot. Add your cabbage and stir constantly until the cabbage is lightly browned and translucent-ish. It may seem like a lot of cabbage at first, but it shrinks down substantially. Add the cabbage to the beef mixture. Flatten your balls of dough with a rolling pin. Each dough saucer should be about 8 inches in diameter. Place 1/3 to 1/2 cup of filling in the center of each dough-saucer and pull the edges together and pinch to enclose the filling in the dough. To avoid a thickened dough-seal, I actually cut off the excess dough with cooking shears. If you don’t do something like this, you’ll find a doughy center as you take your first chomp. Preheat the oven to 375° while the runzas sit and rise for a bit. Brush some of the egg (your remaining egg of the 4 you originally had) on the top of each runza to give it a nice browning while in the oven. 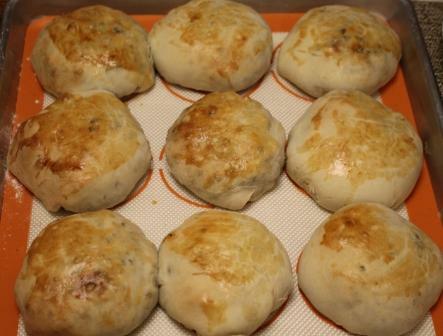 Cook the runzas on a greased baking sheet for about 25 minutes or until golden brown. Tomatillos are plentiful this year so I’m always up for trying a new recipe. 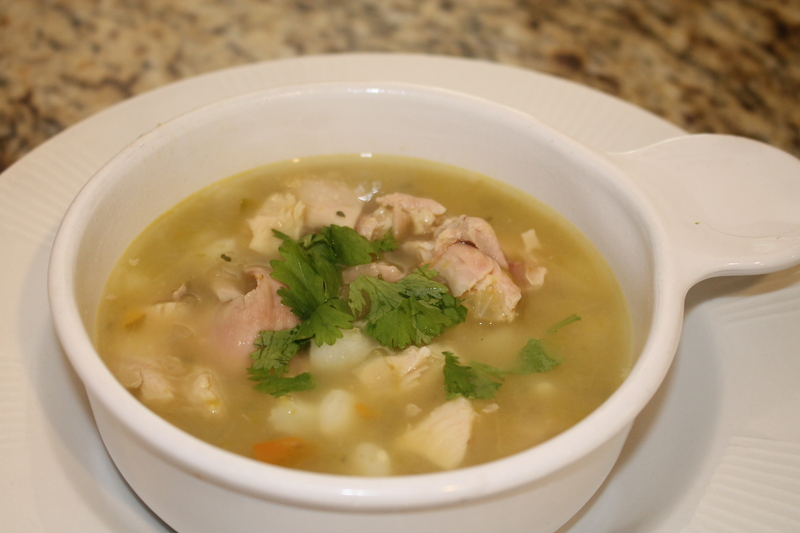 I love my standard Posole recipe with pork, but liked this idea with chicken and tomatillos. Tomatillos have almost a citrus-like taste to them so it pairs well with chicken and posole. The soup was great fresh and I’ve frozen a large batch for a cold winter’s night! Discard husks and stems from the tomatillos. Cook whole tomatillos in boiling water 10 minutes or until tender; drain. Place tomatillos in a blender; process until smooth; set aside. Place chicken stock, onion, chicken, garlic, jalapeño and hominy in a large stockpot and bring to a boil. Cover, reduce heat, and simmer 35 minutes or until chicken is done. Remove chicken from bones; shred. Stir in pureed tomatillos and salt; cook for 5 minutes or until heated. Stir in chicken, and serve with cilantro, sour cream, and lime wedges. Sometimes you just need a time out for a little R&R. I needed a time out this year based on my last post. On one hand, it made me sad to take a break because summer and fall are my favorite seasons to cook with fresh vegetables and fruit. On the other hand, if you’re not in the zone, it’s a worthless venture. August and September are big birthday months in our family (yours too?). In total, we have 13 birthdays. ABC News reported in 2005 that more babies are born in July, August and September with no real reasoning. Really? It seems so simple to me. 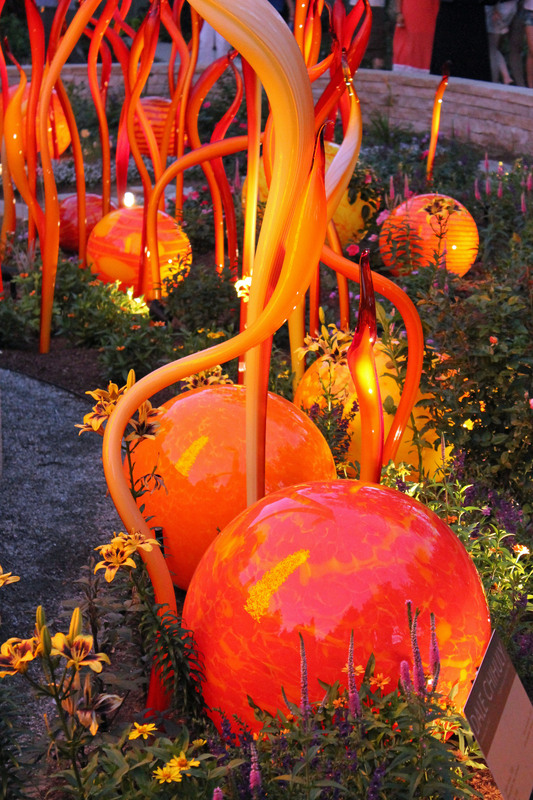 Colder weather, holiday celebrations… Maybe I should have been a rocket scientist. 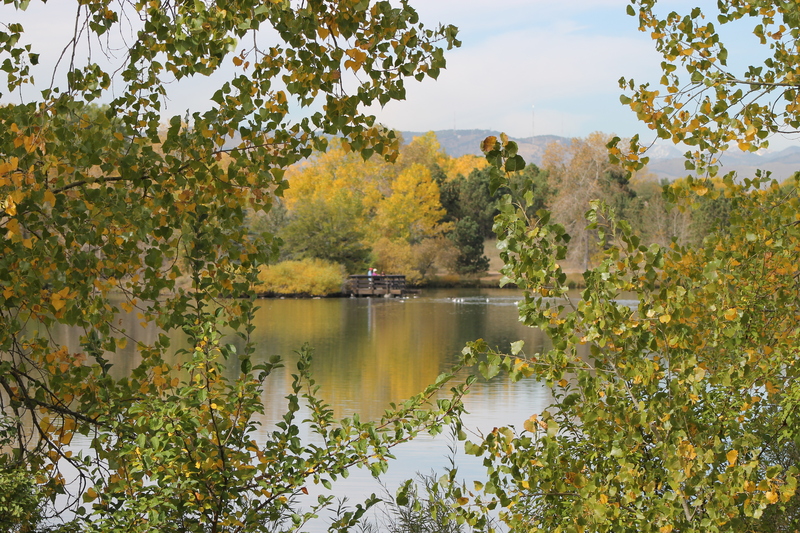 September, October and early November in Colorado were unseasonably warm and utterly beautiful. We all knew it wouldn’t last but we felt blessed for the beautiful fall colors accompanied by the warm sun and cool breezes. Our family traveled to Columbia, Missouri for Homecoming weekend and the dedication of Traditions Plaza and Legacy Circle, where Karl’s memorial was placed. We enjoyed family time and the festivities of the weekend. 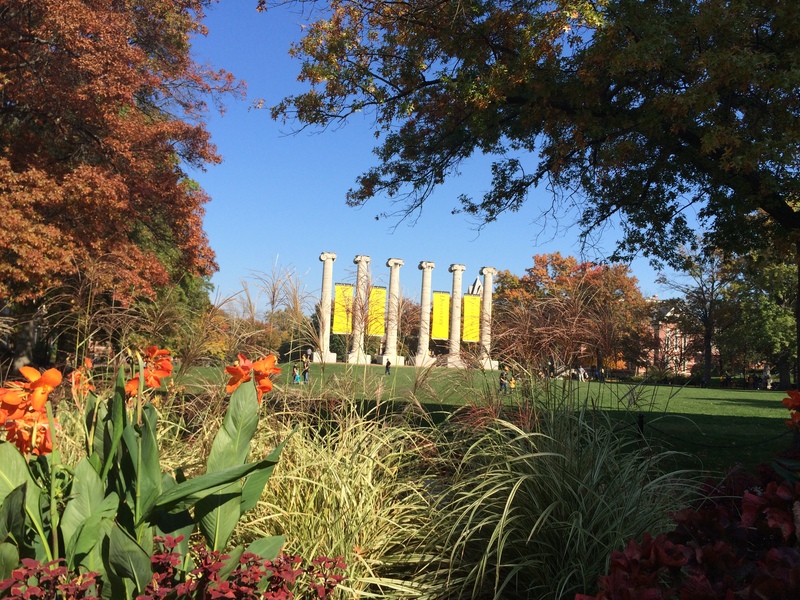 Little did we know the NCAA recognizes the University of Missouri as the birthplace of homecoming. 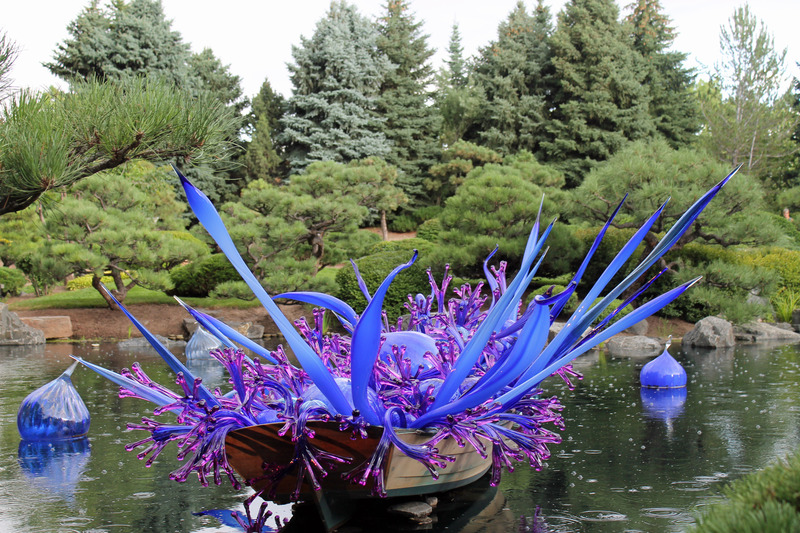 The Chihuly Exhibit was showcased at the Denver Botanic Gardens this Summer and Fall. 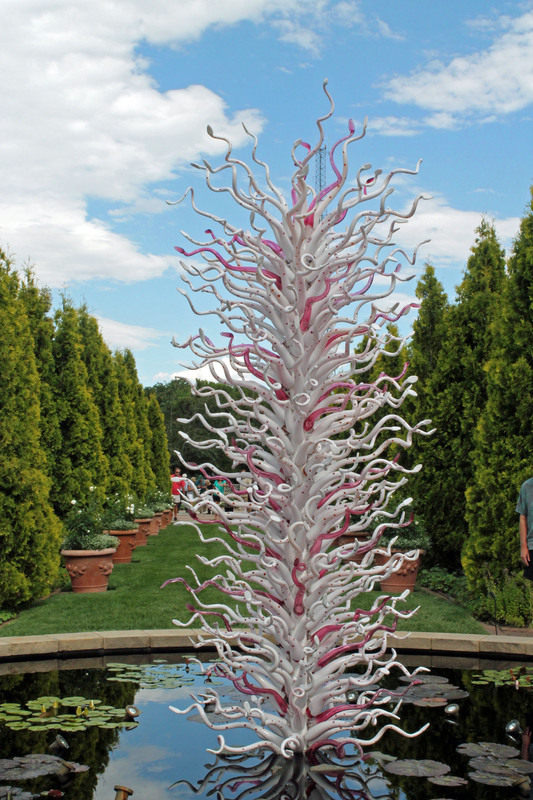 I saw the exhibit in Phoenix earlier this year and enjoyed two additional visits to the Denver exhibit. I’m looking forward to being back, sharing recipes, stories and life. Potato Bacon Chowder is officially a family favorite, shared with me by my sister Carolyn. It’s a quick fix for a weeknight meal and GREAT as leftovers. Need I say more? Fry bacon until crisp in a 3 quart saucepan; add onion and saute 2 to 3 minutes. Pour off fat. Add potatoes and water. Bring to boil; cover and simmer 10 to 15 minutes or until potatoes are tender. Stir in soup and sour cream; gradually add milk. Add salt, pepper and parsley. Heat to serving temperature. Do not boil. Baked Risotto with Bacon and Kale (and many other yummy ingredients) is a comfort dish to love. My gal pal, Jan, told me about this dish and I had to try it. It also helped that I had many of the ingredients on the ready. I rarely make Risotto because I don’t enjoy standing over the stove, constantly stirring and adding liquid to the Arborio rice. This recipe eliminates that hassle. There is some prep work chopping, roasting, grating, etc. but I did that early in the day which made the final preparation a breeze. Add this is the list…comfort food! Preheat oven to 400 degrees. Peel and chop the carrot, parsnip and shallot. Place on baking sheet and drizzle with olive oil and sprinkle with salt. Roast for 10 minutes or until cooked through. Remove from oven and set aside. In a large, heavy saucepan or braising pan, cook the bacon over medium-high heat until crisp. Drain on paper towels. Add the chopped onions, salt and pepper. Reduce the heat to medium-low and cook until tender, about 5 minutes. Add the rice and stir for 2 minutes. Add 3 cups broth and the lemon juice. Increase the heat and bring the mixture to a boil, stirring occasionally. Remove the pan from the oven and return it to the stove, over medium-low heat. Remove the lid and stir in the chicken, kale, roasted vegetables and 1/2 cup chicken broth. Stir until the kale is wilted, about 5 minutes, adding extra broth, as needed, until the Risotto is creamy. Stir in the cooked bacon and cheese. Ladle into bowls and serve. Potato Bacon Chowder is a favorite that my sister, Carolyn, shared with me a few years ago. She has served this on Christmas Eve and it is wonderful for a quick lunch or dinner giving us that warm, cozy comfort food we crave this time of year. So simple so good. Enjoy! Add potatoes and water. Bring to boil; cover and simmer 10 to 15 minutes or until potatoes are tender. Stir in soup and sour cream; gradually add milk. Add salt, pepper and parsley. Heat to serving temperature. Do not boil. Recently I was joining my neighbors for dinner and wanted to make a main dish from items I had in my pantry and freezer. I discovered this recipe in the Cornerstones Cookbook published by the Assistance League, Marshalltown, IA in 1976. My Mother gave me this cookbook, on my 23rd birthday and it has become one of my ‘go-to’ cookbooks. 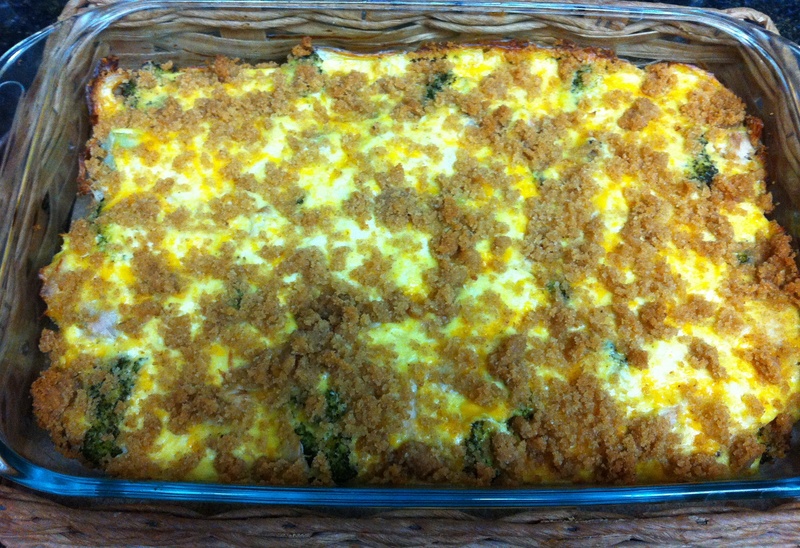 This casserole was a hit and will now join my list of favorite recipes. 1. Cook broccoli until tender. 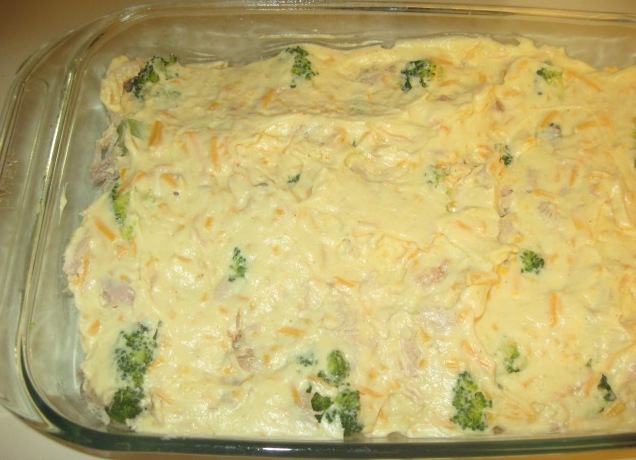 Arrange in bottom of buttered baking dish (9″x13″). 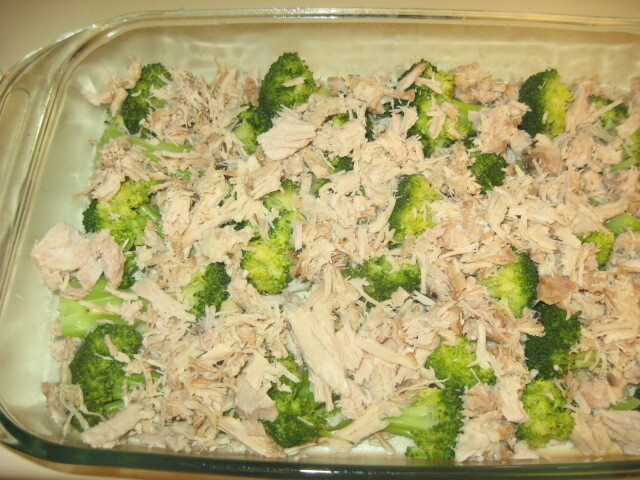 Place two cups cooked, cubed chicken on top of broccoli. 2. 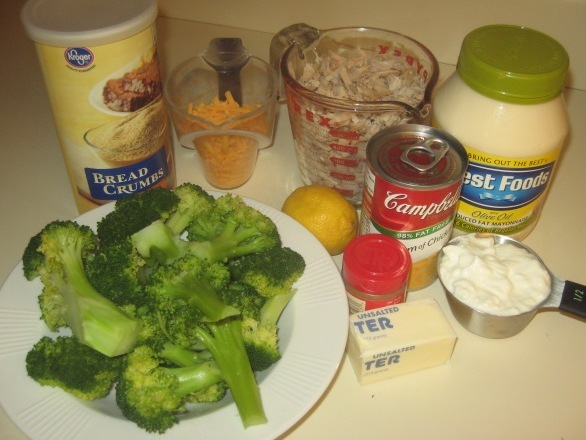 Combine chicken soup, sour cream, mayonnaise, cheese, lemon juice and curry powder. Pour over chicken and broccoli. 3. Combine crumbs and butter and spread over top of casserole. Bake at 350 degrees for 30 minutes.